In an ongoing search to find reliable ways to produce clean and efficient energy, wind energy company Altaeros Energies has deployed its new helium-based wind turbines in an Alaskan demonstration. 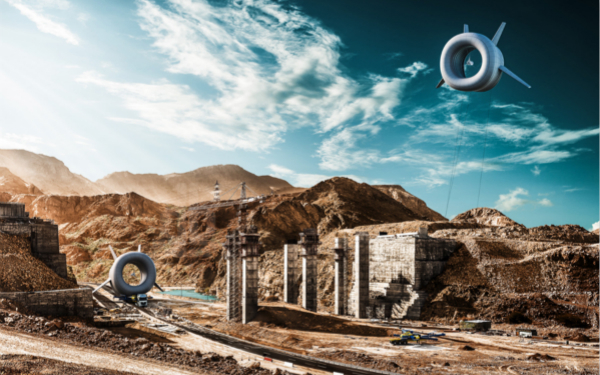 Titled the Buoyant Airborne Turbine project, or BAT for short, the new turbines use a helium-filled inflatable shell tethered to the ground in order to rise to new heights and gather wind energy. 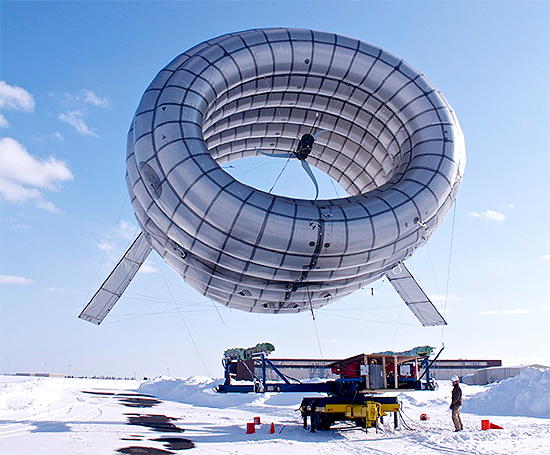 Thanks to its revolutionary design, the BAT is able to deploy at 1,000 feet above ground, going farther than any other wind turbine technology available, and is able to gather larger amounts of wind from higher elevations. The BATs are constructed to survive hurricane-level winds, and are able to be safely lowered to the ground for repairs and transportation. Thanks to this technology and ease of transportation, the BAT generates consistent energy at an extremely low cost in any environment, making it ideal for use in remote communities, agriculture, military bases, disaster relief organizations. This amazing new technology ready to revolutionize wind energy for communities around the world, and might soon be available to customers everywhere.